Happy Easter! Last weekend was so full of celebration that we needed a day or two to recover! Now is the school holidays so between time with the family I am slowly catching up. Our final Easter Club was on Easter Saturday, not quite the end of Lent, but I wanted us to enjoy the celebration of Easter together, so it had a festive feel. I told a Godly Play story about real Easter Eggs, using the psanky that I had made. 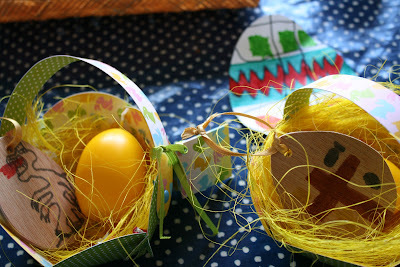 I also made lots of flat egg shapes with many of the traditional Ukranian designs, colours and their meanings. 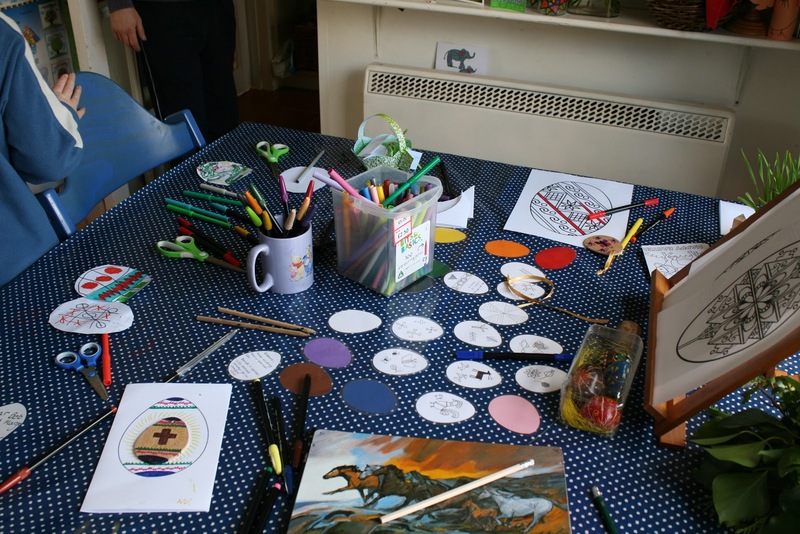 The children each designed their own, on paper, then on flat wooden egg shapes. They worked so hard! They finished them with ribbons to hang as Easter decorations. I had also found these lovely card baskets to make. They were perfect for their eggs and some Easter candles. And the sun shone! 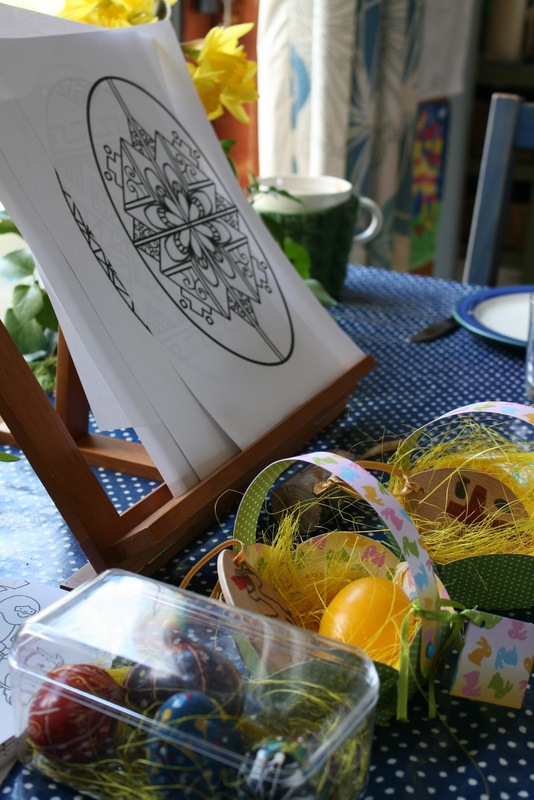 So we were able to head out to the garden to hunt for chocolate eggs - an essential way to finish! It was a lovely end to a lovely few weeks. I shall be happy to have my Saturday morning lie-in again, but the children have asked to get together for a Pentecost Club...of course! But I'm not quite sure what you do at one of those...I'll have to have a think about it.